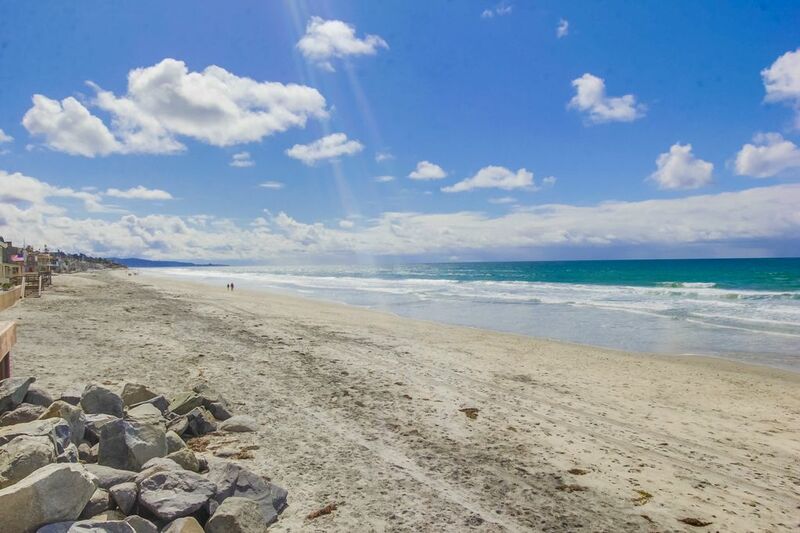 This ideal condo is located ONE SHORT BLOCK to the sandy beaches of Del Mar, California. Walking distance to The Village in Del Mar, Cedros Street in Solana Beach, The Fairgrounds. Tastefully furnished in a coastal chic style. The master bedroom has been freshly painted and updated with new flooring and furnishings, king bed, TV, chest of drawers and private bath. Guest room has 2 twin beds. Full bath (shower/tub) down the hall. Linens provided, washing machine & dryer in unit, parking. This is my personal home so it is not furnished with industrial furniture. I ask that you take care and are mindful. If you are visiting in the summer months, I empty out closet space and drawer space for your belongings. If you are coming for a weekend in the off season, you will find more of my personal belongings. I make room for you to hang your clothes and have a luggage rack so you can settle in. Our condo is located in the Del Mar Beach Colony, it is within walking distance to many restaurants, shops & Del Mar Fairgrounds. Free WiFi in the condo. This is me (Gina) in the kitchen of our condo. The smile on my face comes from having enjoyed a relaxing day in Del Mar. I grew up in La Jolla and we started taking our children back to San Diego to enjoy the summer beaches when they were very young. After renting for 7 summers, we purchased our condo in 2002. The children are grown now and the memories we created those summers are cherished. When we gather as a family, they always want to return to the beach! The ease of walking across the street to the beach or into town really makes this a relaxing place to stay. No getting in the car and finding parking! Sitting on the beach wall and enjoying a glass of wine, watching the sunset is one of my favorite past times. There is a communal garden downstairs. Front balcony has chairs and bbq for your use.